January, then. It’s the least wonderful time of the year. The Christmas buzz is a long distant memory, your immune system has yet to clock in at work and the dent in your finances looks like an asteroid crater. But it’s also a time for good intentions, repair and renewal. As much as we’d like to, we won’t cheerlead your gym endeavours. And if you’re doing veganuary, frankly we don’t want to speak to you. What we can offer, however, is our list of men’s style resolutions for the year ahead, which will help you become a better (dressed) person. No fad trends. Nothing to give you a willpower-cut. Just the rules you need to make 2018 the year of no more sartorial shortcomings. All good outlets require a regular stock check, and your wardrobe is no exception. Replenish the shelves with fresh, wholesome produce – the essential wardrobe basics you wear the most. Plain tees, dark jeans, grey sweatshirts, Oxford shirts and every other essential item of your menswear diet. These pieces get the most wear, and are subject to the most tear. One yellowish T-shirt will push even the finest look past its sell-by date, so it makes perfect sense to refill the pantry as the year begins. It won’t cost you a fortune, either. If it’s not broke, don’t fix it – true enough if you’re of the Tom Ford one-look-fits-all school of thought. But as the old menswear ‘rules’ expand with every passing year, so too should your appetite to experiment. There’s never been a better time to refit your look – and we mean that literally. Changing fit lets you change gears without throwing out your whole wardrobe. And, love them or hate them, wider legged trousers are becoming increasingly popular, refusing to budge from the trend wheel. If baggy trousers sound like madness to you, consider a straight leg, or shapes that’ll play with your silhouette up top without making you look like a sack of potatoes. It’s all about knowing your body shape, what suits it, and the spots in your wardrobe that can accommodate some experimentation. We’ve long argued that Switzerland isn’t the be all and end all of luxury watches. It’s not a bad place to start though, and you don’t always need a Swiss banker’s pay packet to get your hands on something mechanical and historic. For a price tag just shy of the £500 mark, you can upgrade your wrist with a notable ticker from the likes of Hamilton, Christopher Ward or Tissot – all Swiss made, and all handsome in their own right. If you want to look further afield, try Junghans from Germany or Seiko from Japan. 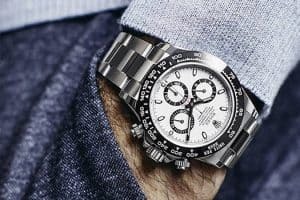 Such labels aren’t quite Rolex material, but they’re not Rolex prices either. What they are is an excellent foundation for a fledgling watch collection. Your maths teacher was wrong: the Pythagorean theorem isn’t the most important equation in the textbook. That title belongs to the cost-per-wear ratio: the amount of money you spend on an item in relation to the amount of times you wear it. The more you wear it, the cheaper it is. Science. Of course, you want the ratio to be as low as possible, but don’t think big price tags will always clinch it. It’s about making the right investment. A genuine leather jacket will get much more wear than a trend-based designer sweatshirt, as will a white cotton work shirt, some proper Goodyear-welted shoes, seasonless knitwear or a fine leather wallet. Granted, it’ll seem like a low blow to your bank statement in the immediate future, but such a purchase will save in the long run. Remember: buy cheap, expect to buy twice. If your outfit’s a cut above, then the cut above it should be fit for purpose, too. A sharp, well-maintained hairstyle is down to one thing – regular visits to a barber your trust, who knows your hair well. So if you want to remain the stylish gent you no doubt are, increase the frequency of your visits. Become pals. Most guys need some topiary up top around every two weeks, so block-book to get into the routine. Just as Wednesday may be leg day and Friday is designated date night, you can allocate the same time each month to some quality time with your other significant other. Don’t think a balding head gets you off the hook, either. Men with sparser locks need even more attention than their fuller-maned brethren, as cuts adapted to thinning or receding hair can accentuate the problem if they’re left to overgrow. Accessories can be exactly that – accessories to crimes of fashion. There’s huge potential to turn into a human Buckaroo or just choose something really, really, ridiculously naff. As a result, men have become accessories-phobic and are all the more boring for it. If you get it wrong, you’re in danger of giving 2000s bling Beckham a run for his money, but get it right and you’re in peak Gosling style territory. 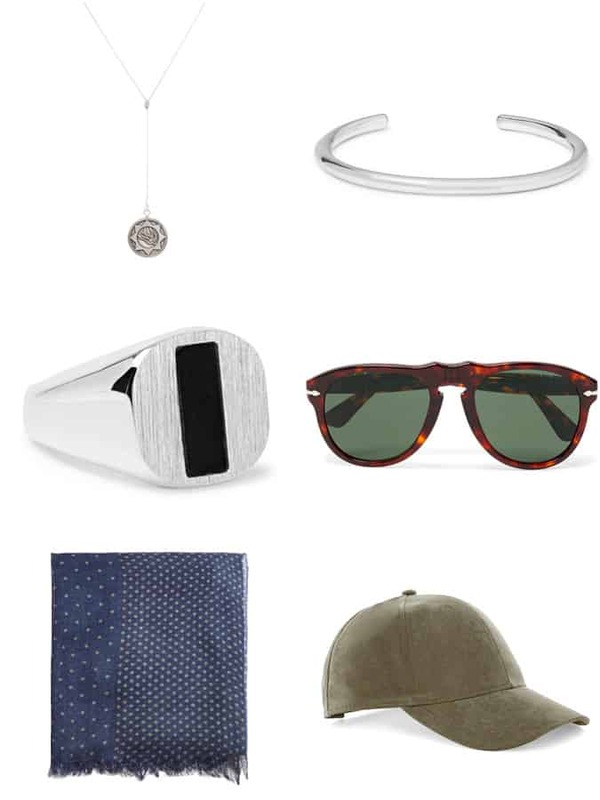 So, how to make sure that you plunder the style-enhancing merits of accessorising without veering perilously off track? Keep things simple and apply sparingly. When it comes to jewellery, once you’ve chucked on a necklace and a couple of rings you’ve maxed out your metal allowance. Other accessories should be treated with the same level of restraint, too. Wearing a cap, bum bag and sunglasses, for example, is only a good idea if you want to look like a textbook tourist. Pick one or two accessories max, so that you don’t overdo it. We’d recommend going for minimal styles in colours that aren’t too in your face. Your skin doesn’t get anything for Christmas. The booze, the cold and the endless supply of carbohydrates gifts you only flaking lips and a sallow complexion. But while you’ll need to act fast to stop dry (face) January in its tracks, a commitment to good skincare should be a year-round endeavour to maximise your chances of consistently looking your best. Caring for your complexion isn’t just a case of throwing the bathroom cabinet at your mug. Be skin smart by chucking out any old products which are past their use by date and make sure the kit that you do have is fit for purpose. Go for grooming products specifically targeted for your age, lifestyle and skin type for maximum epidermal returns. Make sure you treat your skincare seasonally too: right now you’ll need intensive, heady-duty products, but as the weather improves you should switch to lighter creams and lotions so you’re not extra oily. Our number one skin-saving resolution? SPF moisturiser every day. If you’re not a dedicated gym goer, chances are you’re begrudgingly toying with the idea as you attempt to consciously uncouple from your spare tyre. Ironically enough, for a place that is a mecca of physical self-improvement, there’s more style-killing clobber on display at the gym than you’ll find in an average episode of TOWIE. When you’re red in the face and dripping with sweat, the last thing you need is your wardrobe not spotting you. Luckily, it’s pretty simple to correct dodgy gym attire. Step away from your bobbly old fleece and faded T-shirt and instead make sure you’re sweating in style – and kit that’s fit for purpose. You’ll find plenty of technical and wallet-friendly options on the high street, which actually fit and help you perform. Choose sweat-wicking fabrics and trainers that cushion your joints from the hammer blows of the treadmill. According to popular wisdom, the fastest route to killing your style is wearing bad shoes. And we’re not just talking about those blindingly awful square-toed ‘going out’ shoes. They’re unforgivable, but so are heel scuffs, scratches and marks that are better described as ‘patches’ than ‘patina’. Unlike death and taxes, premature shoe ageing is far from certain with the right amount of TLC. Start with a regular polish of leather shoes each week. This doesn’t just bring the shine back, it also keeps the leather supple and increases its lifespan. Buy a suede brush and a suede protector to keep your softest shoes young, and don’t neglect your trainers, either. They may be your downtime pair but that’s no excuse for mud stains or grubby laces, which you should swap for new ones every few months. In winter, most men’s wardrobes look the same as the sky, flitting between black and various shades of grey. We say it’s time for a brighter outlook. If you’re chronically colour phobic, start with baby steps. A cobalt blue sweatshirt is a safe way to dip your toe into bolder hues but you’re still in sensible territory: it’s blue. Trainers are a minimal risk way to experiment with colour, too. A pastel pair worn with black or blue jeans are hard to get wrong and unlike wearing colour up top, you’ve got more freedom over which shade you choose. If you’re more colour confident, get acquainted with tonal dressing this year (black, navy or grey don’t count FYI) and put coloured tailoring on your to-do list. The dinner suit is one of those items that you instantly forget exists the day after you’ve worn it. Unfortunately, that means if there’s any remains of said dinner on your lapel, it goes ignored in the wardrobe until your next wear, leading to last-minute panic sponging. Dry cleaning of your dinner suit will ensure that it stays in pristine condition when it goes into hibernation. 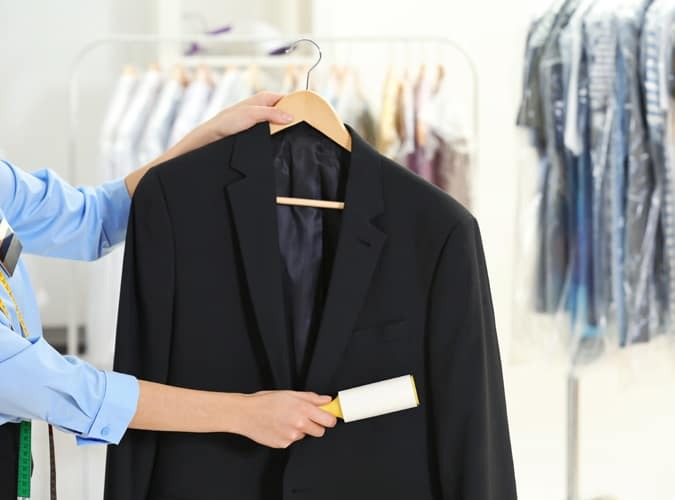 While we’re at it, here’s a general rule of thumb: a business suit should be dry cleaned no more than two-to-three times per year (any more will put unnecessary stress on the suit’s fibres) so a dinner suit, which we’re assuming you don’t have cause for wear on the regular, should be only dry cleaned once a year. Then, assuming you keep your other resolutions and actually go to the gym, you’ll be able to wear it for many years to come.